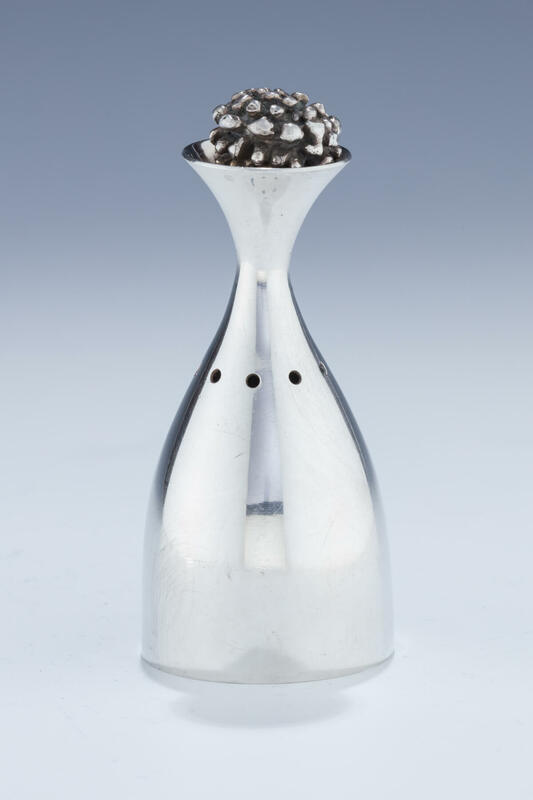 A SILVER SPICE CONTAINER BY ARIE OFIR. Israel, c. 1985. In the shape of a pierced bottle with removable clove shaped stopper. 3.7” tall.